No one knows exactly how big the stars are but by using a variety of methods, astronomers have been able to roughly calculate the diameters of many nearby stars. 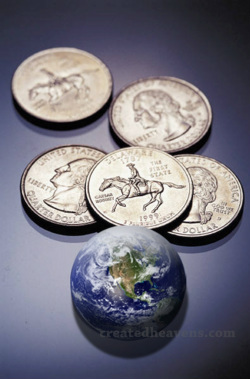 If the earth were shrunk to 1 inch in diameter it would be the size of a quarter. Other celestial objects appear below for comparison after having been scaled down by the same amount. Stars appear to be tiny twinkling flickers of light in the sky that seem almost to be snuffed out by an occasional breeze on a summer night, but they are most definitely larger than what they appear. For example, we travel across approximately 180 million miles of space every year from one side of the earth’s orbit to the other in the journey that the earth takes around the sun. Yet the stars do not appear to get brighter although we get that much closer to some of them. The stars are actually too large to be fully comprehended but we can try to comprehend their size by comparing them to the earth. Let’s start with the Earth and shrink it down to one inch, about the size of a quarter. 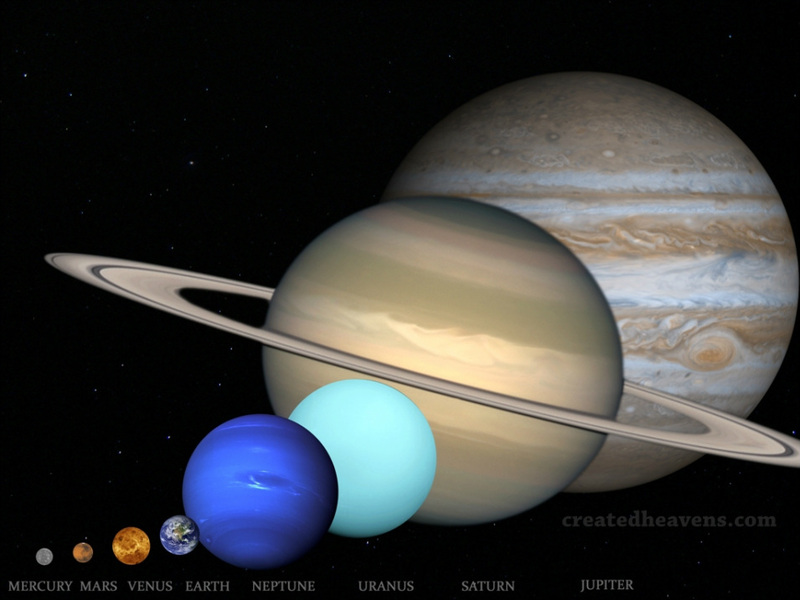 At this scale the planet Uranus would be 4 inches across and about the size of a softball. 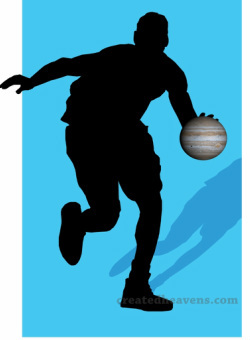 Moving on up to the largest planet in our solar system we look at Jupiter which would be 11 inches in diameter, that would make it a little larger than a basketball. Some of the planets themselves are extremely large but when compared with the stars they are reduced to what seems like trivial insignificance. 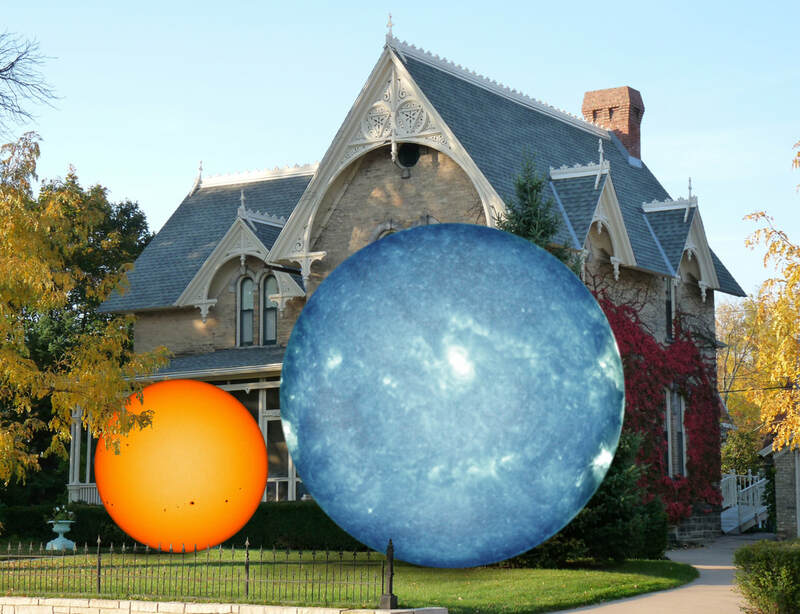 In our scaled down comparison, the Sun would be 9 feet tall and therefore could not fit in a standard house with 8 foot ceilings. 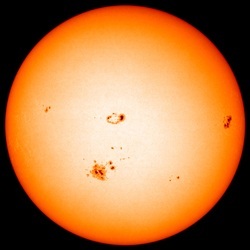 The Sun is a main sequence star which means it’s an average star, but there are other stars that are much larger than the sun. The brightest star in the sky is called Sirius. In our analogy it would be almost 16 feet tall. Next we’ll move on to another giant star in our neighborhood called Arcturus, this one would be 234 feet high, making it about as high as a cellular communications broadcasting tower. 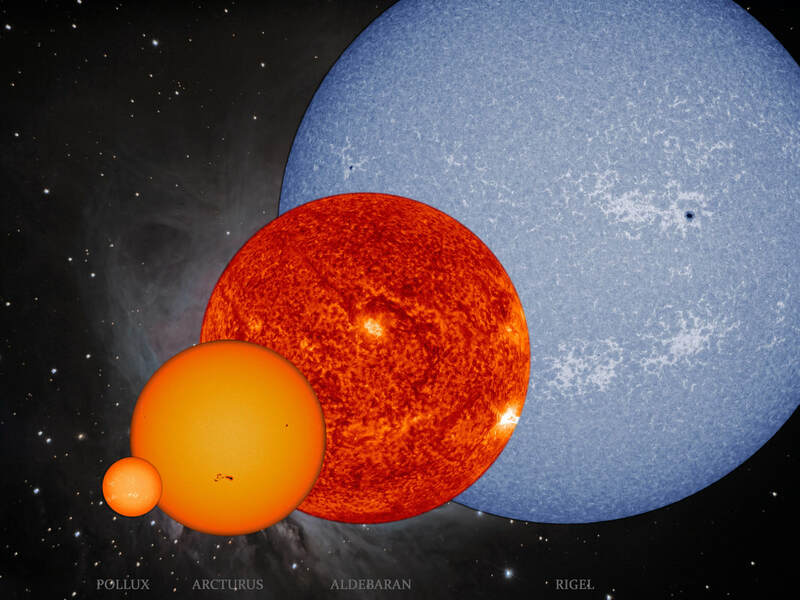 If that isn't enough to surprise you, let’s look at another star called Rigel. 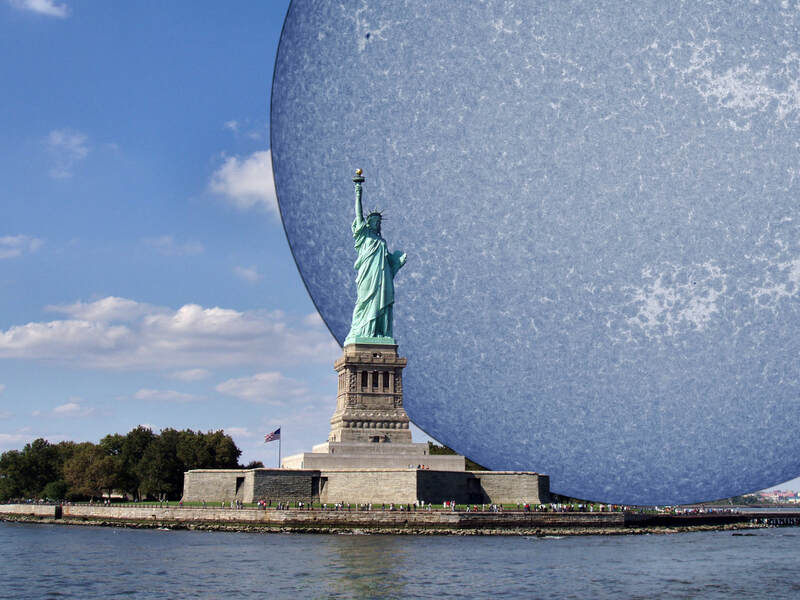 This star would be over 700 feet in diameter, bigger than 10 tractor-trailer trucks lined up end to end. Now we’ll leave the giant stars behind and move on to the supergiants. One of these stars is called Antares. It is large enough that in our comparison it would be 6,984 feet high! This would be like stacking five Empire State buildings on top of each other, or stacking up 1,000 very tall men. 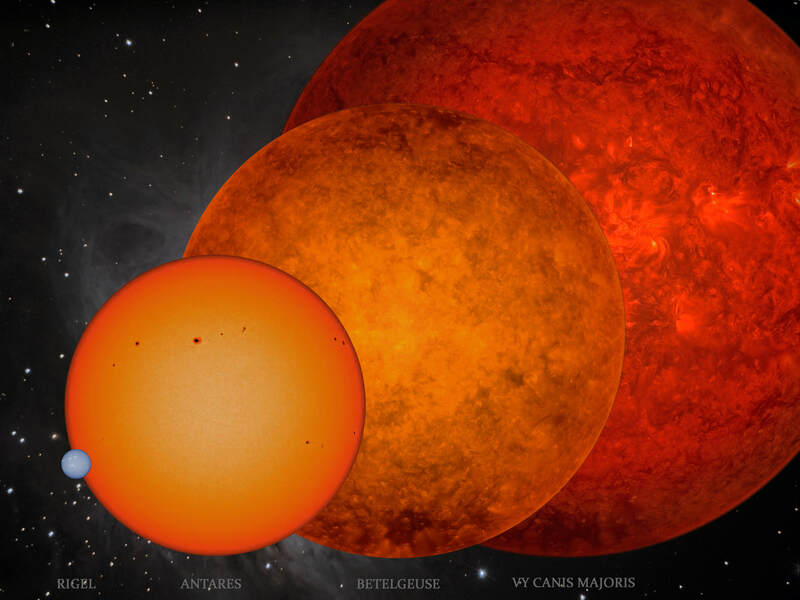 Another one is Betelgeuse this star would be 10,000 feet high, or equal to the height of nearly seven of the historic twin towers stacked on top of each other. And God though His great creative power has made them all, but as if we needed to have something to stretch our minds yet more, He created Canis Majoris. 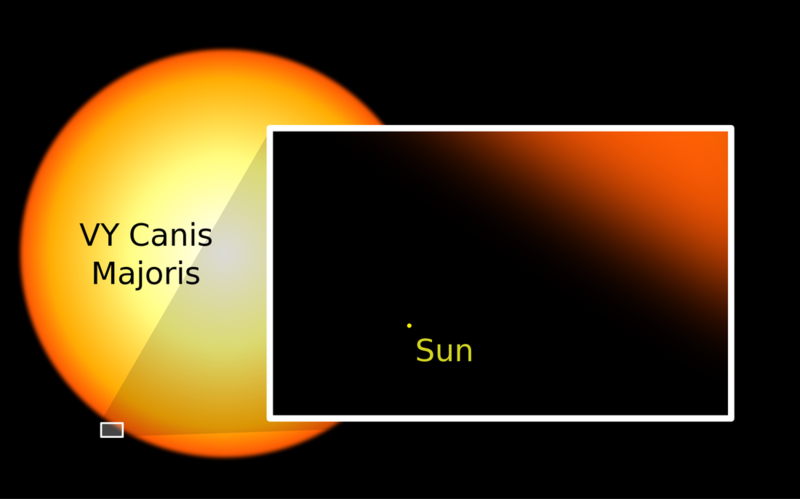 In our analogy, with the Earth being the size of a quarter this hypergiant star would be nearly 3 miles high. More than 11 of the twin towers would need to be stacked up to equal this height. The next time you see a star twinkling silently in the night, just think of the monstrosity that it must be to make so that it can be seen from trillions of miles away. Check out the distances page to find out how far these colossal giants actually are from us. The object at the far right of each image will reappear at the left of the following image for a continuation of the scale. What is heavier than the sun and all the planets yet smaller than a city? 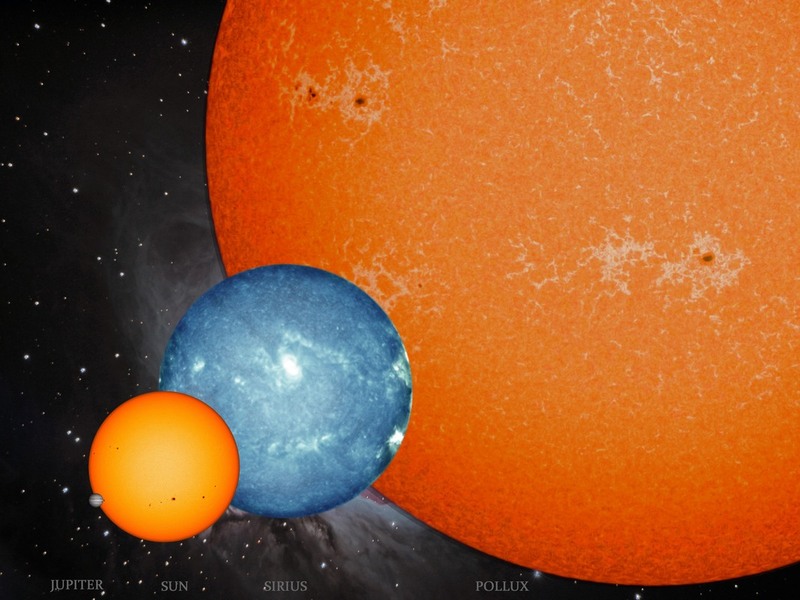 What is bigger than the Sun and all the planets yet lighter than air? These two riddles above can be solved by reading this article. All stars are heavy but some are bloated like a hot air balloon on a summer day, while others are so burnt out (literally and figuratively) that they collapse under their own weight and are crushed down to extreme density (compactness). The range of densities of stars is enough to baffle anyone. 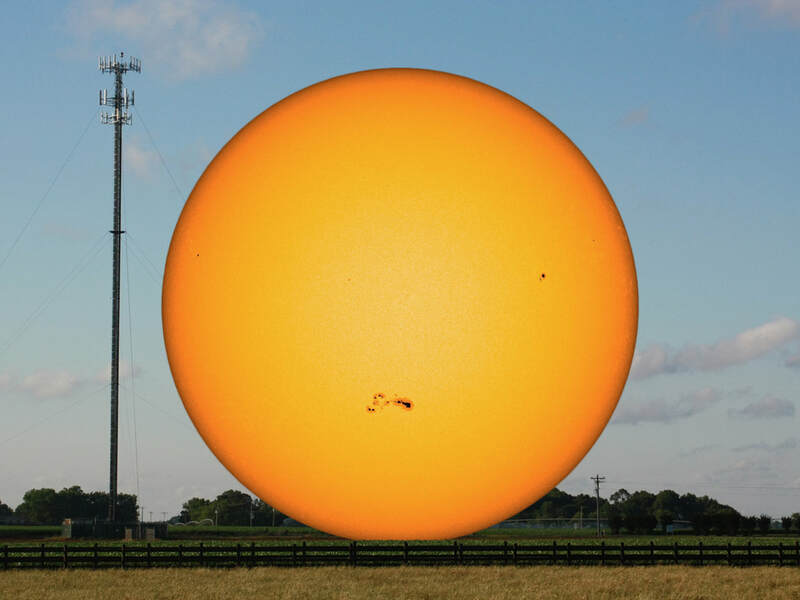 Our Sun is at neither one of the extremes, not too light and not too heavy. In fact, it wouldn’t be hard to carry part of the Sun around in a bucket. A one gallon bucket of water weighs a little over 8 pounds. We could dump the bucket out and fill it with dirt, it would then weigh about 10 pounds. If we dumped it out again and filled it with average density plasma from the sun, it would weigh almost 12 pounds, heavier than dirt but not nearly as heavy as iron. One gallon of iron would start to strain our bucket at 65 pounds. So solar material is not nearly as heavy as metal but there are stars other than the sun that are even much lighter yet. 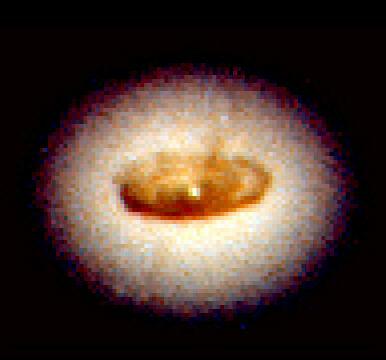 Many of the supergiant stars have their mass spread out over such a large area of space that something interesting would happen if we were to fill our bucket with material from these stars. After filling the bucket with supergiant star material the bucket would be lighter than it was before it was filled and would start to float directly up into the air! These stars are typically less dense than air itself. The earth is the densest object in the solar system. Our one gallon bucket filled with average density earth would tip the scales at 46 pounds. By comparison, material from Saturn would weigh less than six pounds; this means Saturn is light enough to float on the ten pound water! Just because the earth is the heavyweight king of the solar system doesn’t mean that it can hold out against the competition from interstellar space. The nearest star to us after leaving the Sun is Proxima Centauri, a red dwarf that would weigh down our fragile bucket with over 450 pounds. Not very many people could pick up a bucket load like that. We could double the distance and get to the nearest white dwarf, Sirius B, a clear winner in this super-dense category of stars. Our trusty bucket would fail miserably at this point. Pouring in a gallon of Sirius B would crush the bottom and burst out the sides as the 10 million pounds of plasma ran out across the ground. It would be impossible to clean up the mess; a teaspoonful of it would still weigh five tons! White dwarfs seem like the very definition of heavy but they appear like downy fluff in comparison to a neutron star. One teaspoonful of neutron star material weighs in at one billion tons; equal to 500 million cars! This type of star has more mass overall than the Sun but is less than 10 miles across. If you haven’t guessed it, this star is the answer to the first riddle. Interestingly, it is the end result of the star that is the answer to the second riddle; a supergiant star. Supergiants are extremely unstable and can explode into a supernova; the remaining mass can then form a neutron star. 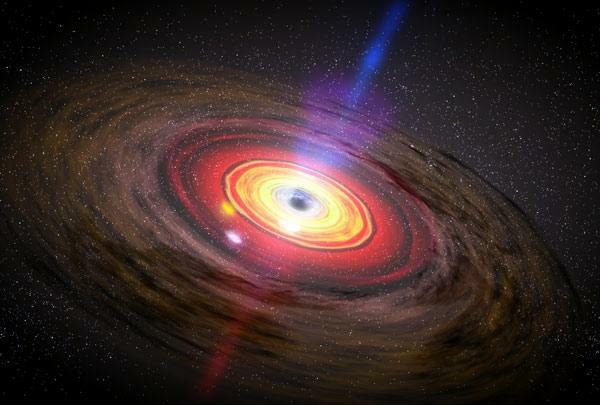 As if these mind crushing weights weren’t enough; we have the universe’s most mysterious objects: black holes. These are the most compact massive objects known; so dense they go beyond our understanding of density. Because of that, our spoon sits useless. We have no way of knowing how much the singularity of a black hole would weigh, or if it would even be big enough that we could scoop it up with our spoon!